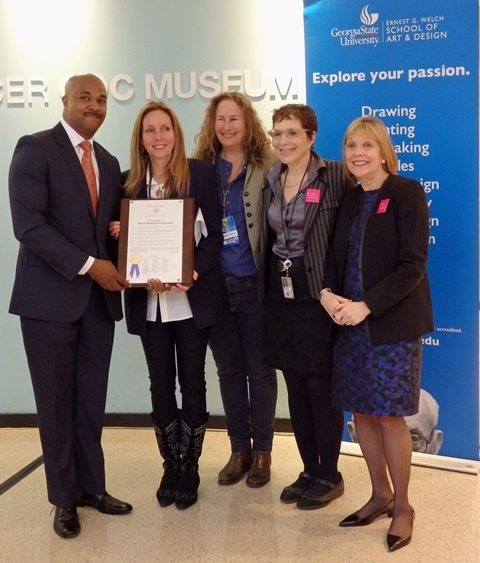 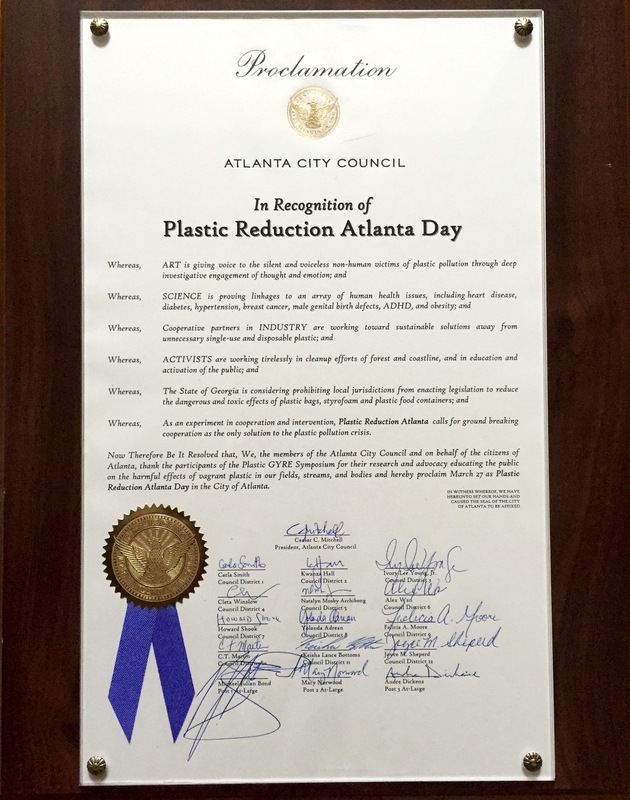 Honorable Atlanta City Councilman Kwanza Hall presents us with a proclamation for “Plastic Reduction Atlanta Day”! 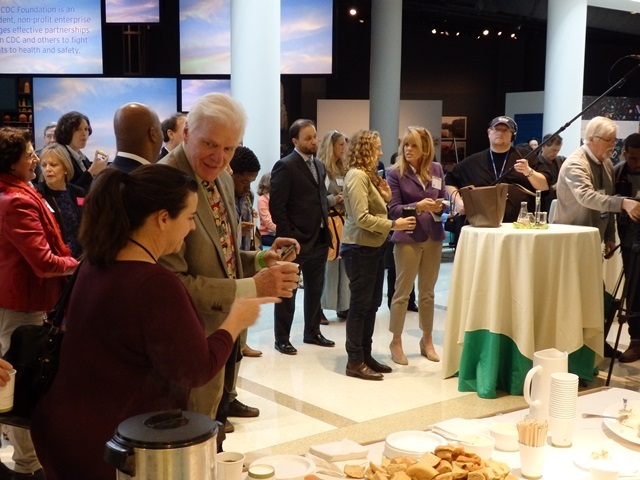 Day 2 closing reception at the CDC with notable guests Laura Turner Seydel, Dianna Cohen and Scott Seydel. 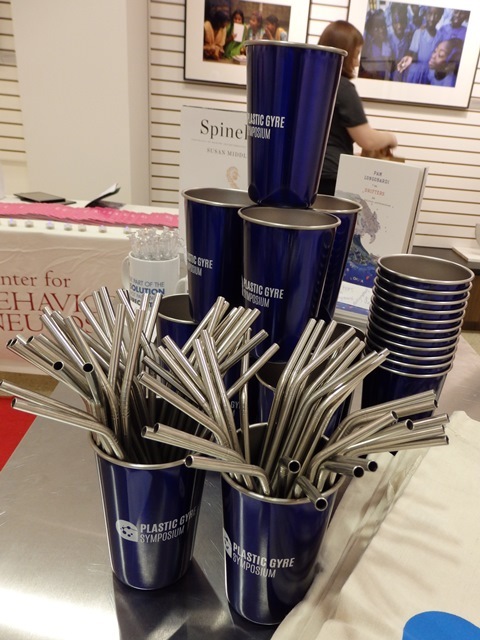 Stainless steel cups and straws – permanent plastic alternatives! 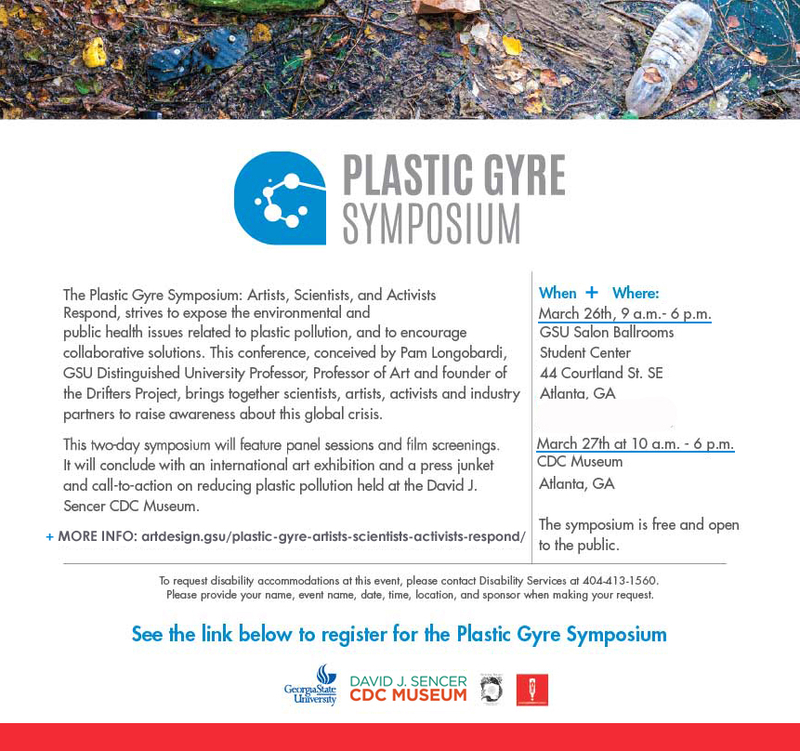 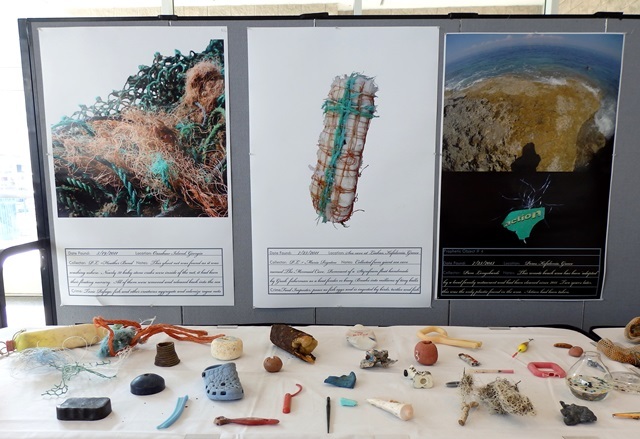 Drifters Project archive on display during symposium Day 1 at GSU. 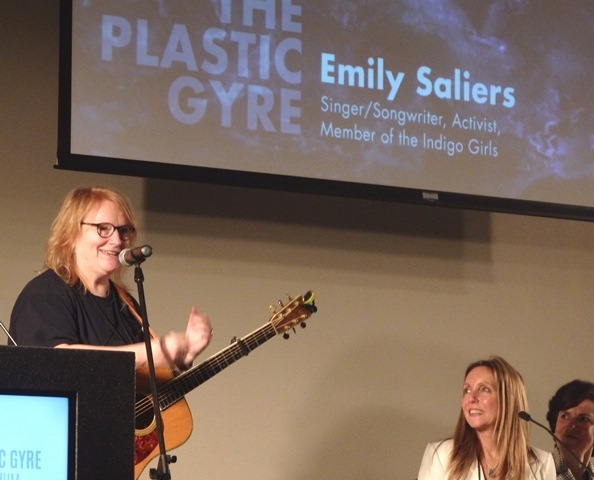 The amazing Indigo Girl Emily Saliers brings the house down with special songs for Day 1 at GSU.